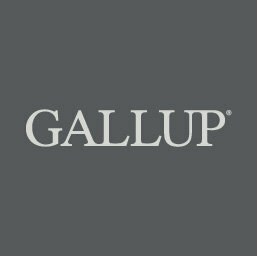 Strategic consulting is perhaps the most interesting area in the Gallup website. Along the right hand side there are 14 topic areas. If you love survey data, as I do, you will find much of interest here. Because there is so much here you need to focus on your major interests (unless you’re one of those who stays up all night surfing the web). As a pump primer, here are a couple articles you may find of interest: Managers create high performance cultures and Engaged workplaces are engines of job creation. so ends out tour of Gallup. I hope you have found material of value. As noted earlier, the deeper we delve into the Gallup site the more interesting the information becomes. Gallup has developed two powerful and available tools to carry out assessments: the Clifton Strengths Finder and the Q12. For a 700 word overview of their two major tools as well as their relationship to engaging people in their work places read Boosting Engagement, Making Decisions. For me and I hope for you the Gallup site gets more interesting as we go deeper into it. Jumping directly to the Economy section look at the weekly averages. You can click on these topics and see more data. Click on Economic Confidence Index to see a dramatic picture of the 2008 “great recession” in the economy. At this site you can also click onto a graph with more immediate detail. Note the Popular Topics Within Economy and click on Taxes as an interesting sample of what Americans think about this topic. I hope last week’s pump primer intrigued you. The Gallup homepage is well organized and information rich. Here you will find the most recent articles based on polling, the Gallup Daily polls, the Gallup Business Journal, Editor’s Picks and Interactive Features. Take care, you may find yourself spending too much time linking from this site. Across the top in green are links to the four major topics that Gallup measures: Politics, Economy, Well-Being & World. Let begin with Politics. It’s reasonably easy to navigate where you are going by returning to the homepage. The organization of the politics page is similar to the homepage: articles on recent polling results, actual weekly and monthly polling averages, popular topics within this heading. This is the page for political junkies. Next week. Let’s look at the Economy page. This may sound boring to you so I begin with a link entitled Dead Wrong: America’s Economic Assumptions.